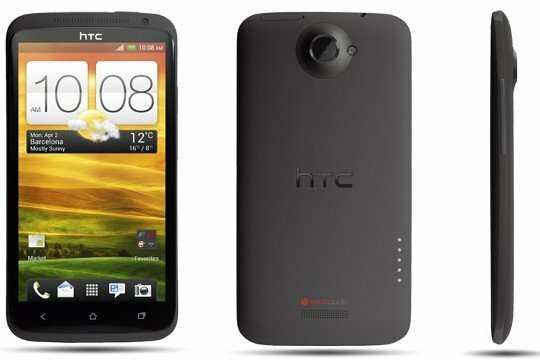 The HTC One X has certainly been making big headlines lately, as it and it's little brother the HTC One S were the rage at Mobile World Congress. With the powerful Tegra 3 quad core processor running in the One X, it has quickly become one of the top performers in terms of power and benchmarks. But today reports began coming from all over stating that there were multiple issues with gaming and sound on the powerful quad core device, and after just getting off the phone myself with HTC and Nvidia, I can confirm that those reports are accurate. In a conference call with HTC and Nvidia, we learned that while a big majority of games should run just fine, there are gameplay and audio problems that aren't only specific to Tegra Zone titles. After running a few tests on the phone ourselves, we discovered that one or 2 non Tegra titles did have issues with sound stuttering during sound effects (loudly), but that most Tegra 3 optimzed games like RipTide ran just fine. It doesn't seem to effect a vast majority of titles, but it is effecting enough to make both companies report that there is an issue. What was also interesting was seeing that in certain benchmark tests the dual core HTC One S was outperforming its quad core big brother. This is not the first time I've ever heard of this happening, as it's not just the processor speed that accounts for all of a devices power. Again, it could just be that this new device running new architecture is just experiencing compatibility issues with apps, and that the benchmark tests weren't completely optimzed for the 4 core cpu. I mean, that could happen right? I'm not trying to insinuate anything, as both companies did make sense with their answers. But what bothers me a bit is that nobody seemed to have any idea about what the root of the issue really is. Some blamed devs and app compatibility, while others blamed no one. Again, why didn't the Prime have any of these issues? Could the sound problems be due to Beats Audio (possible I suppose, but unlikely), and could the performance tests be due to outdated benchmark tests? Or is there a bigger issue going on that HTC and Nvidia aren't aware of? For me, the One X is fine to invest in, as its issues can most likely be fixed with software updates, as all of its issues SEEM to be software related. As for the HTC One S, although I like it more in terms of of design and feel, the hardware issue with the casing would make me think twice about buying it. As long as that issue doesnt affect the majority of people purchasing it, it should be ok in the end. Things like this never help though, especially considering it was just recently launched. Does that issue go away when you go into Settings - Developer settings and set windows transitions and animations to Off? I don't care about Beats at all, it's worth nothing to me. I'll be disabling it and using proper Equalizer in PowerAMP. But I'm interested to see how the story goes with that issue, I'll be getting the phone myself in few days. Beats is just silly software bass boost, but even that could teoretically boost too much beyond speakers cvapabilities. I hope there is a way to turn Beats off completely as I have no intention to ever use it. Thanks Chris! HTC seems to deny that Beats has something too do with t, but I'm sceptical.